Welcome to Boone's Tunes of Delmarva! We are pleased that you are considering music classes and/or lessons for your child. Research has shown that we are all born with an aptitude for music, but that aptitude diminishes if it is not actively nurtured between the ages of birth and nine. 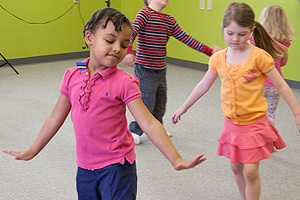 The Musikgarten classes offered at Boone's Tunes are designed to nurture the child’s musical aptitude by engaging children and their families in singing and movement activities which help attune the ear, refine the voice, and develop a rhythmic body through which music can be expressed. Additionally, instrumental activities are part of the program, beginning with simple rhythm instruments such as shakers and drums for babies and toddlers, and culminating with piano studies for older children. Musikgarten is the only program that offers curricula starting with newborns and continuing through piano instruction at age 5. It is based on a keen understanding of how children learn, in both a general sense and, specifically, how they learn music. 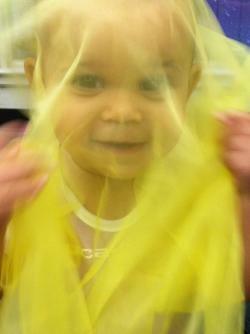 The curriculum is based on years of expert research in child development and learning styles. 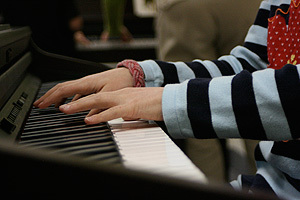 No age group is left out, for Musikgarten also includes recreational adult piano classes! Boone's Tunes is committed to providing a fun, nurturing educational environment through excellent curriculum and small class sizes of no more than 8-10 students. Winter/Spring 2019 enrollment is now available! Classes and lessons begin January 31st. Join us for a free preview class earlier in January! In addition to our classes, Boone's Tunes also offers the high-quality private piano and vocal instruction that Delmarva residents have come to rely upon from Mrs. Upton's studio. As you familiarize yourself with our website and learn more about us, we look forward to answering your questions and to welcoming your family into our music studio! Thank you for your interest in our musical offerings! © 2019 MUSIKGARTEN:: Boone's Tunes of Delmarva All Rights Reserved.